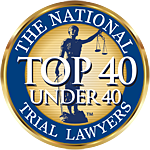 We believe effective legal representation requires personal attention, consideration of each client's unique circumstances, and an exhaustive command of the facts, details and legal issues in each case. Contact Us for a FREE Consultation and Case Evalutation TODAY! Great Results! Fernandez Law Group was able to help me recover a way bigger settlement then I could have ever imagined for my car accident case. The professionalism and service was top notch at all times. I would refer anyone to this firm in search of great results. Thank you Fernandez Law Group! 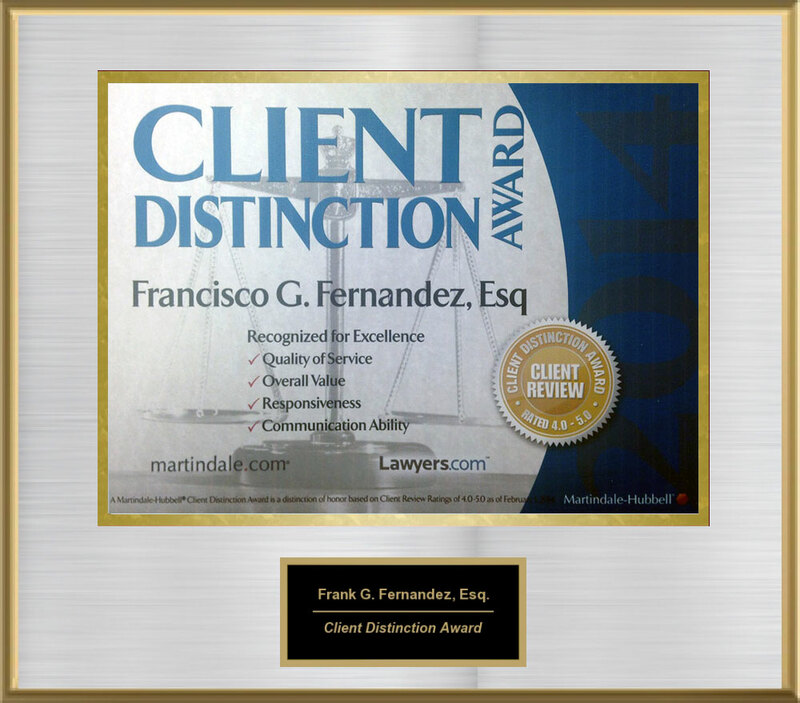 Hiring the Fernandez Law Group for my personal injury case was one of the best decisions I have ever made. They were able to recover a bigger settlement then I ever expected and their attorneys and staff were very easy to work with. 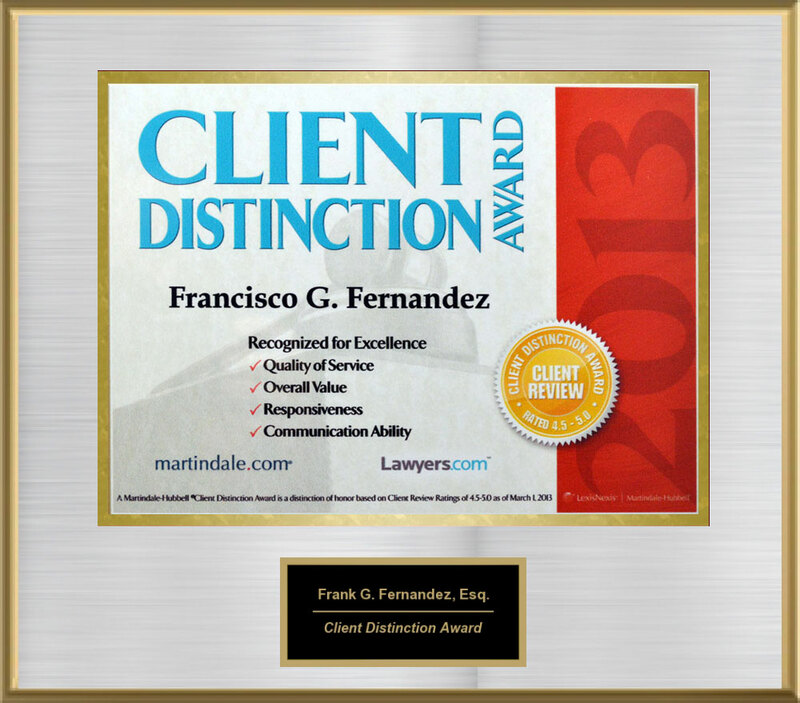 Fernandez Law Group:Very friendly, professional, and know what they're doing! I would definitely recommend calling for any for legal advice. The attorneys at Fernandez Law Group have really changed the way I feel about having to hire legal representation over the years. Not only did their team of associates keep me apprised of the situation at all times, I had the privilege of two attorneys working on my case. The level of service I received, the attention to details in my case, and the end result far has far exceeded my expectations. I am confident that anyone I recommend this firm to will receive similar results and satisfaction. No stupid jingles or catch phrases needed here. Hands down, the best personal injury, medical malpractice , product liability attorney and staff in South Florida. Frank Fernandez knows the legal system very well. He treated me with respect, honor and integrity throughout my entire case and he carries himself well in the courtroom. My case was extremely challenging, yet he took what I thought was going to be a loss and turned it into a nice settlement. I wish I would have known of these guys sooner. I was in an altercation back in 2010 that lead into severe injuries to my shoulder and knee. Fernandez Law Group guided me through the entire rehabilitation process and recovered a settlement that has been a blessing to my family and I during these tough times. I know that none of this would have been possible without there hard work and efforts on my case. 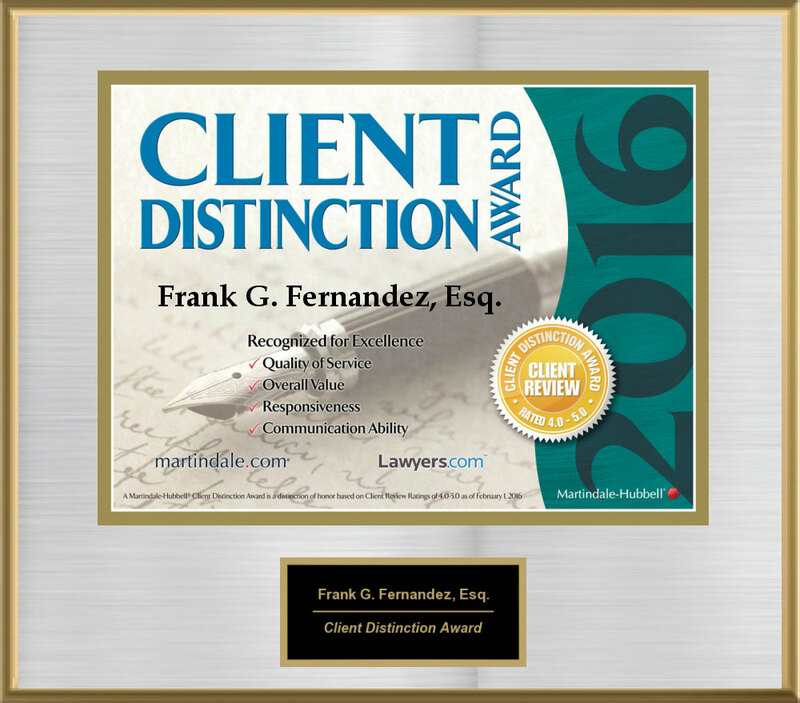 I have a great deal of gratitude and respect for what the Fernandez Law Group has done for me and my family. I highly recommend this firm to anyone facing a personal injury situation. Fernandez Law Group helped me recover a bigger settlement then expected from my car accident in 2012. There team of attorneys were reliable and relentless when dealing with the insurance company involved. I highly recommend Fernandez Law Group to anyone involved in a personal injury situation. Fernandez Law Group went above and beyond to resolve my personal injury case in a timely manner. I was always kept up to speed on what was going on with my case which gave me confidence in my decision to retain them. Because of Fernandez Law Group relentless yet professional representation, I received a bigger settlement then I could have ever imagined for my car accident. Thank you so much for all of your hard work! 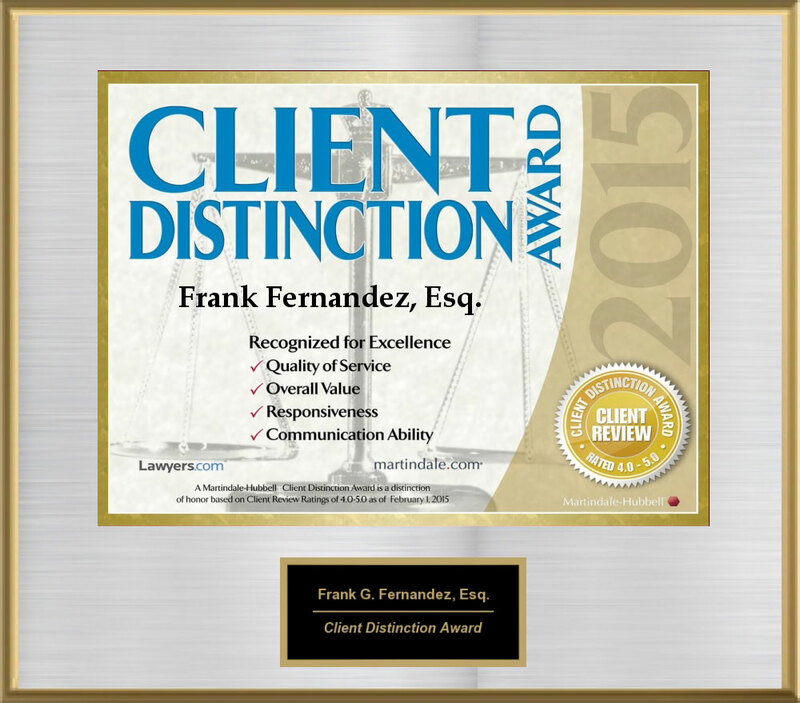 Fernandez Law Group provided me superior, effective, and vigorous representation. We paid for our legal services only when we obtained our recovery from my car accident. They also came to the hospital and my home because I could not drive. Fernandez Law Group was truly a blessing to me and my family. Thank you for all of your hard work and understanding. It's great to see a law firm that actually cares about a person's well being. 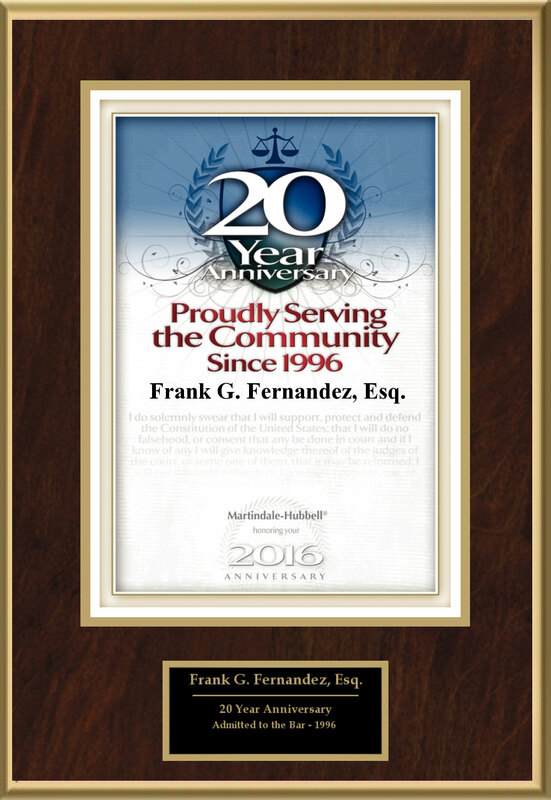 Fernandez Law Group has handled multiple legal issues I have had with respect and integrity. They went above and beyond to resolve my problems in a timely manner. Thanks again for your services.